Canton was named for the Chinese city that was the center of silk production for the world at the time. Citizens wanted to make Canton, Georgia a significant silk center, which never happened. Canton did, however, become a successful manufacturing community. The town came to be known as “Canton Denim” due to the prosperous mill that took off after the Civil War. 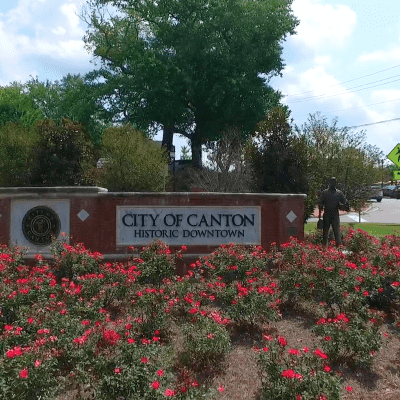 Downtown Canton is a historic Main Street in the heart of the community where most social and commercial activity takes place. With amazing restaurant options, locally owned shops, and even a couple of breweries, residents can walk the brick-lined paths and spend a leisurely afternoon taking in the best of what the city has to offer.